Hi there! My name is Ray DelVecchio. I’ve always been overweight, ever since elementary school. My mom would tell you different, but I’ve had a gut my entire life. I wouldn’t say being out of shape consumed my thoughts. But in my heart, I knew it limited me in certain areas and that I was too intelligent to make such bad eating decisions. I was, and still am, addicted to food. And that’s dangerous, because unlike most other addictions, you require the substance to survive! Breads, pasta, sweets, fast food – I was enjoying it all. It provided the short-term satisfaction that was always overtaken by the long-term guilt at what you are doing to your body. While I was studying for my Master’s degree, I’ll never forget the day I stepped on the scale and I was 201 lbs. At a height of 5’5″, I knew it wasn’t much more until I was considered “obese” by medical standards. I began to eat healthier, but I wasn’t certain of the best choices to achieve my weight loss goals. Should I eat more complex carbs? More protein? Less fat? No red meat? Low carb? I didn’t understand the ins and outs of each approach, so I relied on choosing the most whole food options available along with lean meats. My weight returned to a comfortable number – about 180 lbs – but I knew this wasn’t enough for my liking. For the first time truly ever, I wanted to experience life without a sizable belly! Around this time, I was reading a lot from Tim Ferriss, and eventually picked up his book, “The Four Hour Body”. The self-experimenting nature of Tim, combined with the science behind his choices, invigorated my desire to learn about nutrition. For several months (and without any exercise), I followed his “slow carb” diet rules and lost over 25 lbs*. My lowest weight was around 147 lbs – and I was so proud of myself for accomplishing this lifelong goal. The reason it’s easier to stick to the “slow carb” diet is because of the 1 cheat day per week where you can eat anything you want. The inherit problem is with the nature of addiction and willpower. 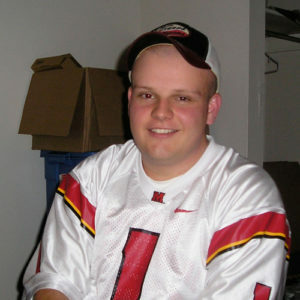 I became complacent because of how much weight I had lost, and began to scatter cheats in throughout the week. Over the span of 3-4 months, I had gained back almost all of my weight, returning to about 170 lbs. I became despondent and started giving into food cravings more often. After losing weight the first time, I got rid of many of my big clothes. As my weight began to approach 180 lbs again, my jeans were getting extremely tight. I chose the latter, and it brought me to the ketogenic diet. I had read about the diet years before as I researched the “slow carb” diet. Then, in what seemed to be too much of a coincidence to ignore, Tim Ferriss started following the keto diet after getting Lyme’s disease. He was singing the praises of the keto diet results and how it almost solved his symptoms completely. Thankfully, Tim interviewed two extremely educated and inspiring researchers who dedicate their lives to the ketogenic diet – Peter Attia and Dom D’Agostino. Hearing their stories was enough to give me the confidence to begin. 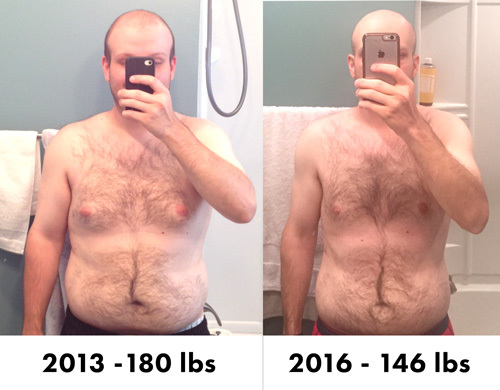 In November of 2015, I made the decision to follow the ketogenic diet for several months and track the results as much as I could. I’m not a body builder, I’m not an extreme athlete. I’m just an average guy trying to learn as much as possible and provide my body the most physical and mental energy as possible. 9 months after starting the keto diet, I lost 35 lbs* and achieved my maintenance weight. My goal is for my journey to inspire others to begin their own. I want to inspire you to make better eating choices, get past your fears (especially in the kitchen), and live a healthier life! Right now, I’m undoubtedly in the best shape of my life*. And it didn’t happen by accident. It’s been a long road, trials & errors, self doubt and a lot of learning. Logging all my health indicators such as calories, blood sugar, ketones, weight and miles walked per day. You can do it, too. You just need to have the desire to learn and the courage to experiment. Ready to get started on the keto diet? 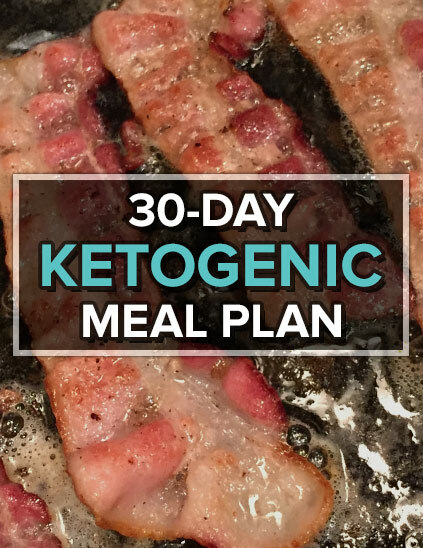 Check out my 7-day keto meal plan with full nutrition info, shopping list and simple recipes!